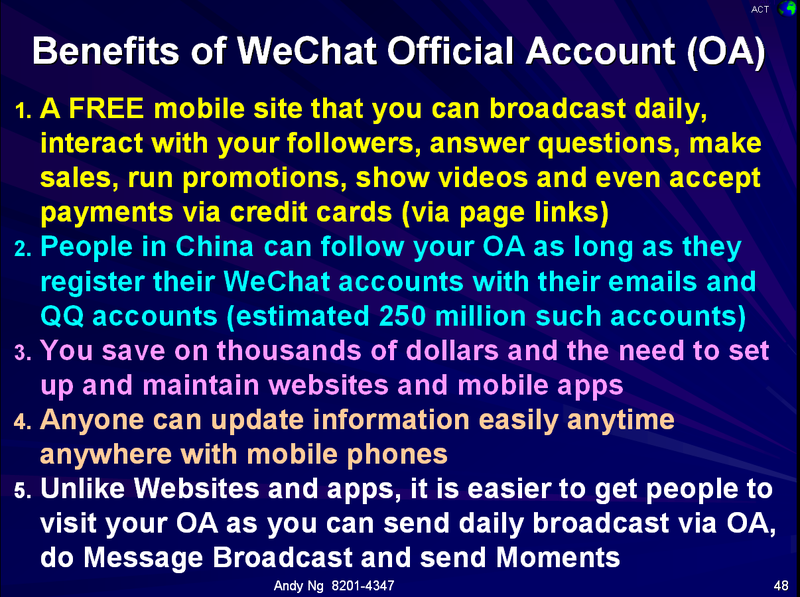 Now you can save on thousands of dollars to set up and maintain websites and mobile apps when you set up your very own mobile site called WeChat Official Account. 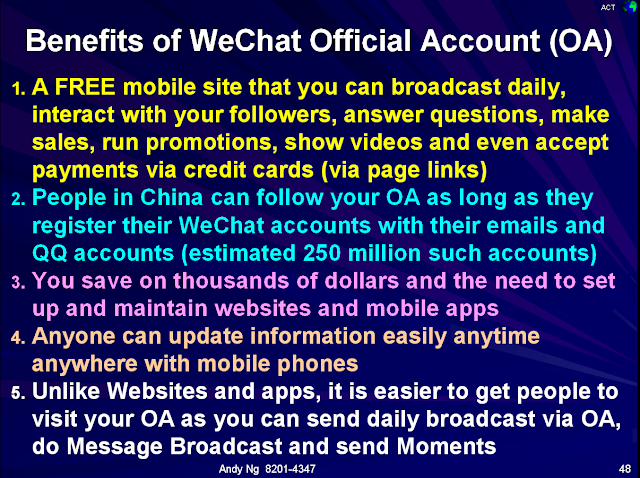 Each business can set up 5 Official Accounts for free. Why pay consultants thousands of dollars to set up Official Accounts for you when you can do it yourself for free? To register, text to Andy at 8201 4347 now!